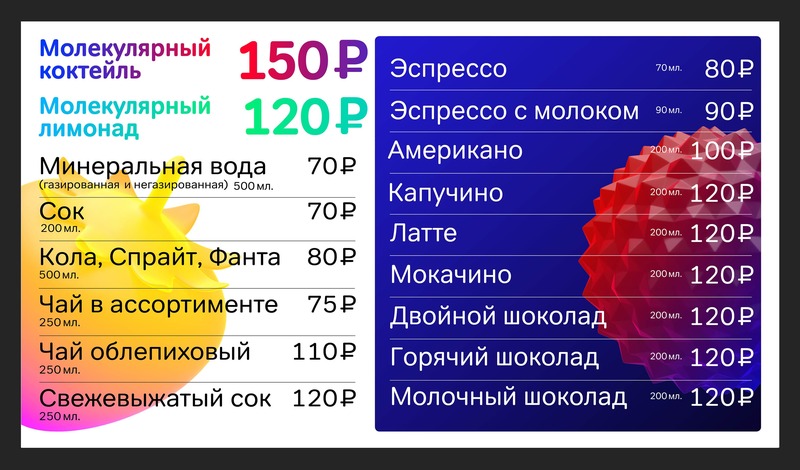 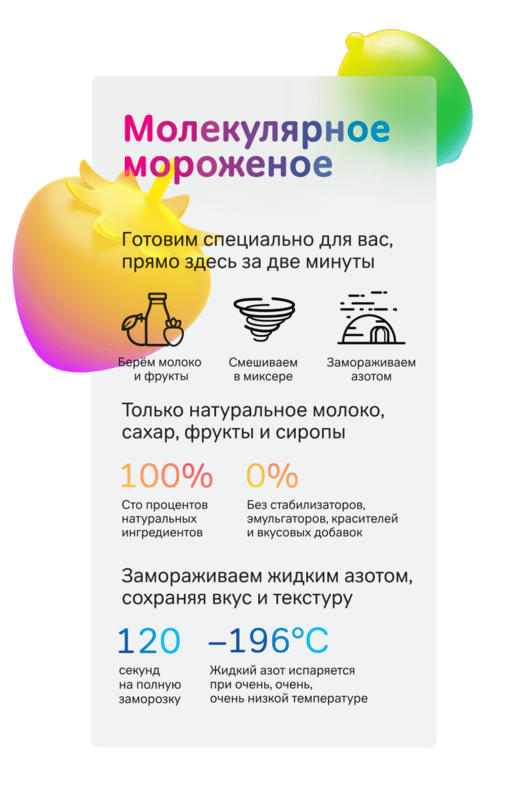 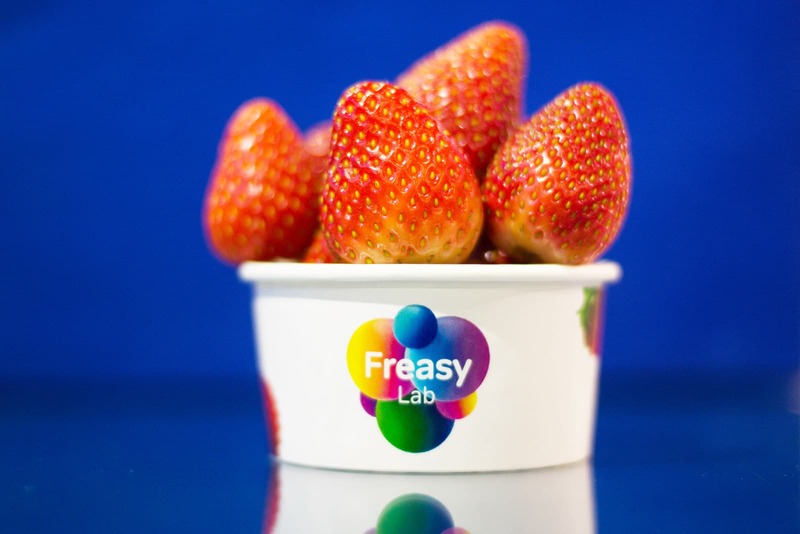 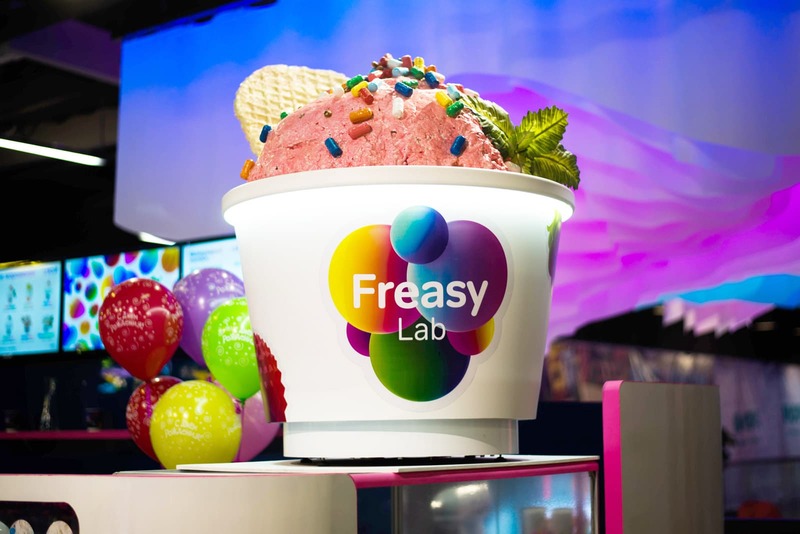 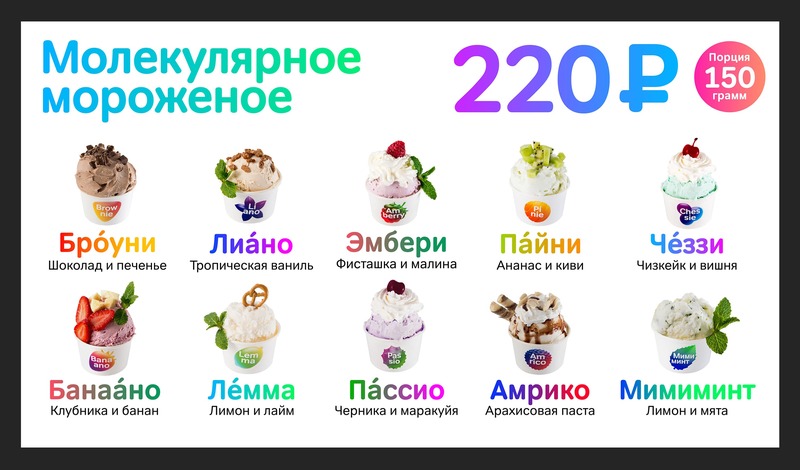 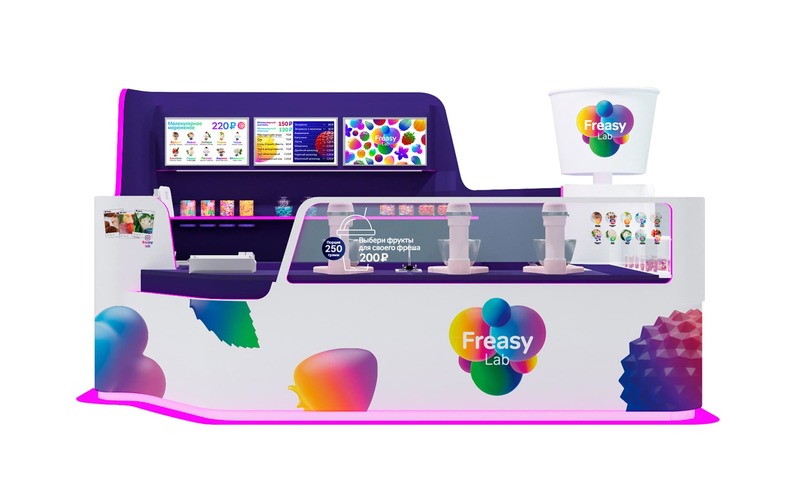 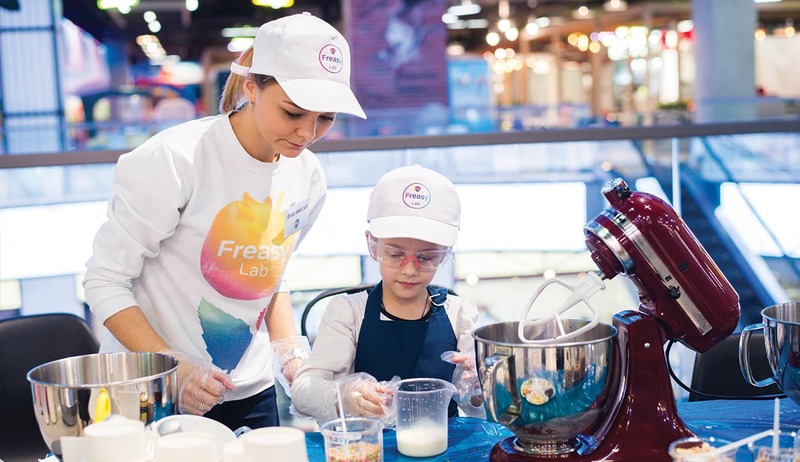 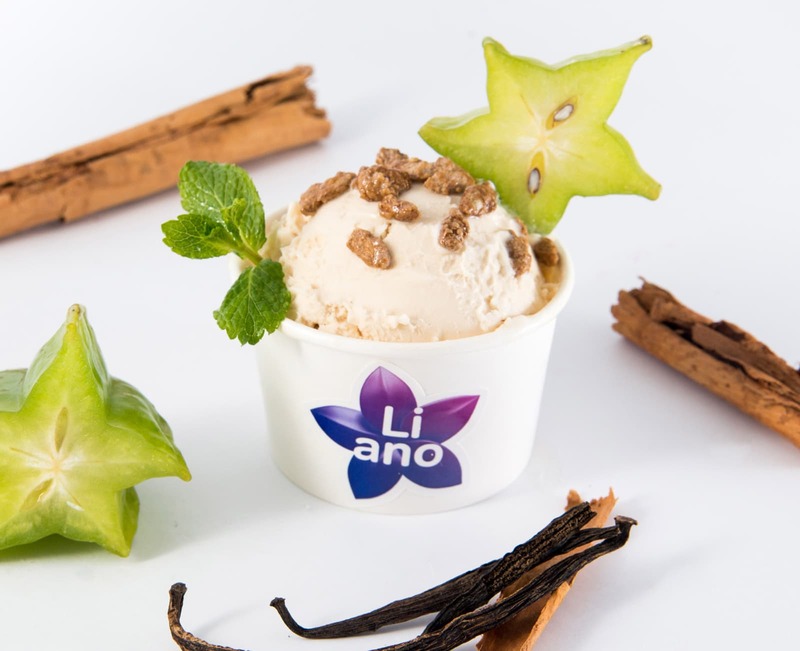 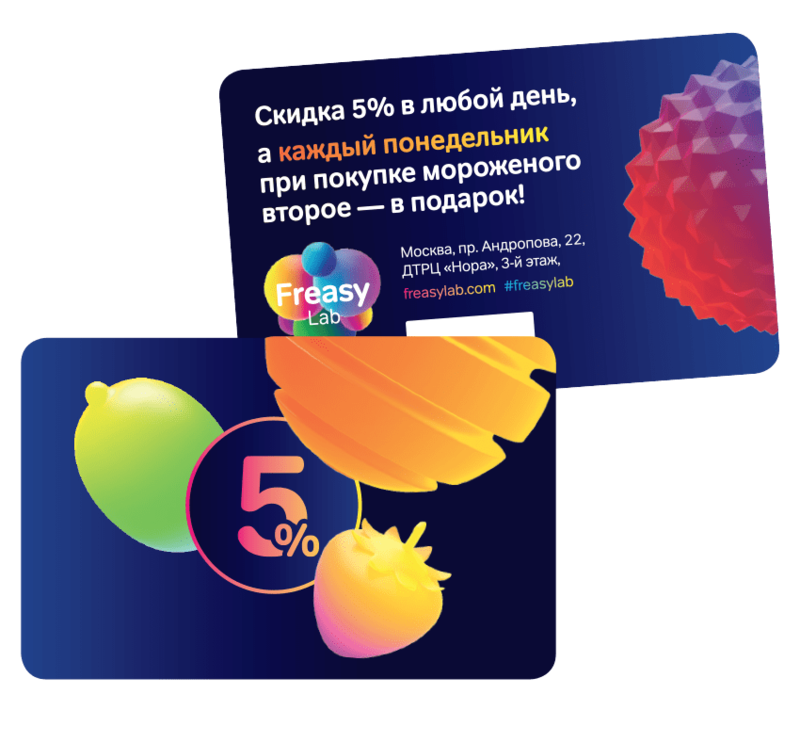 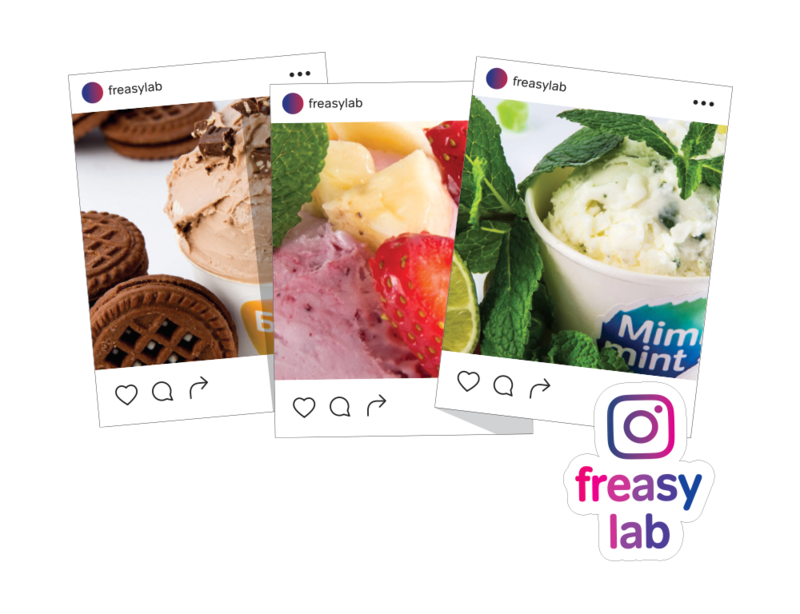 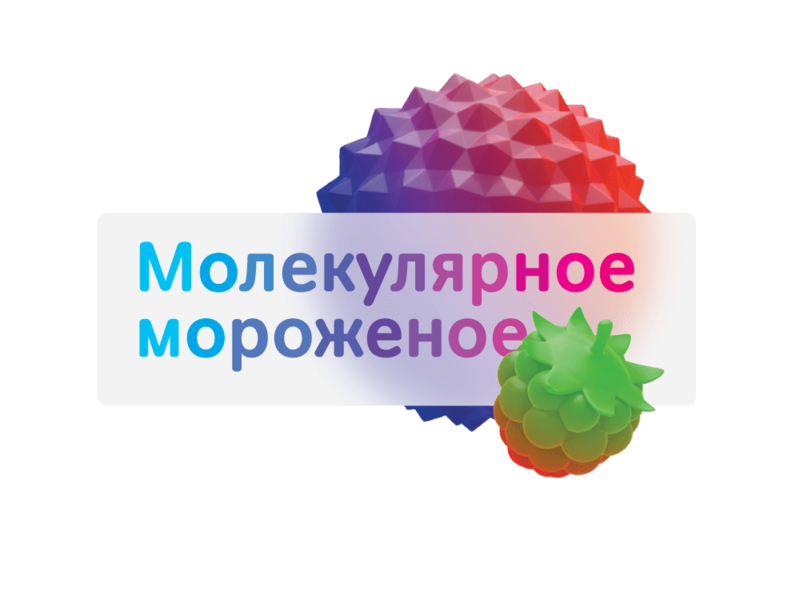 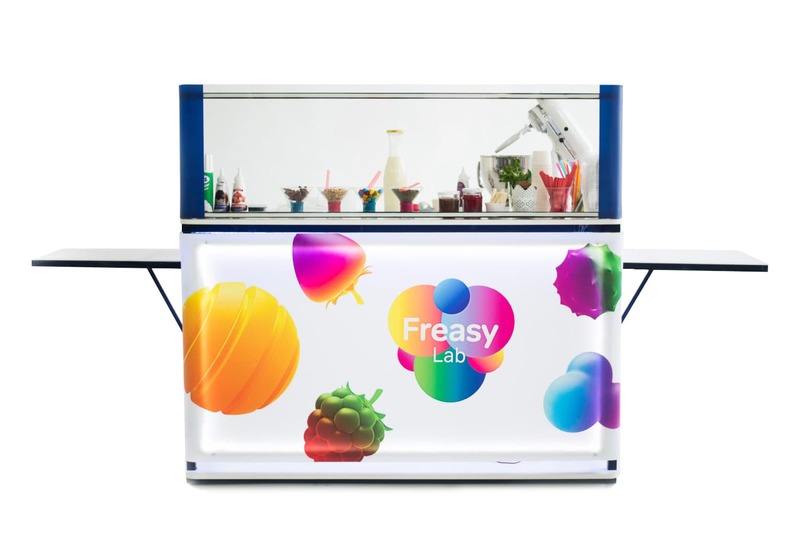 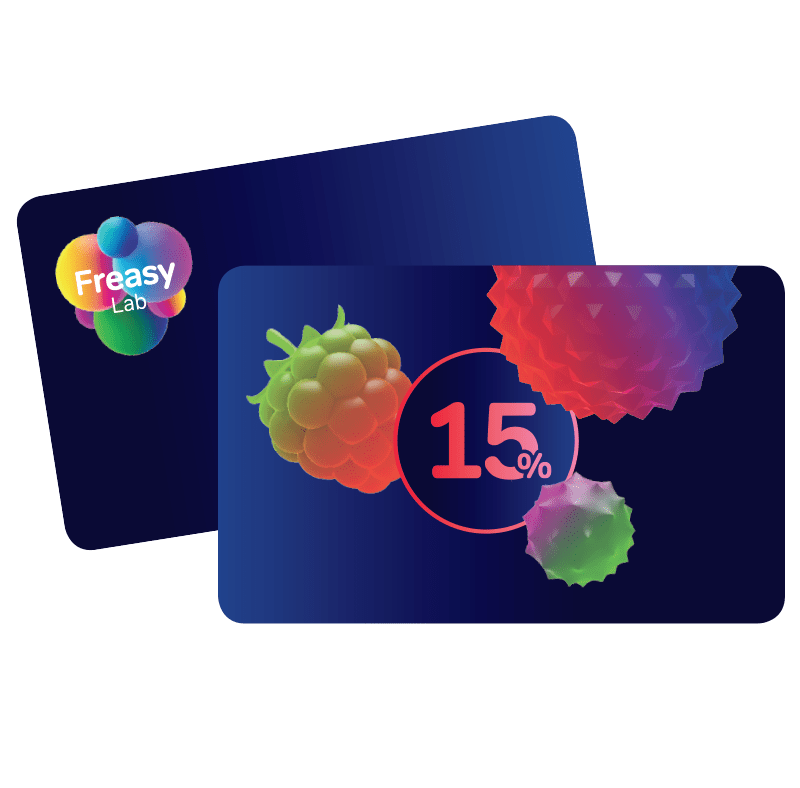 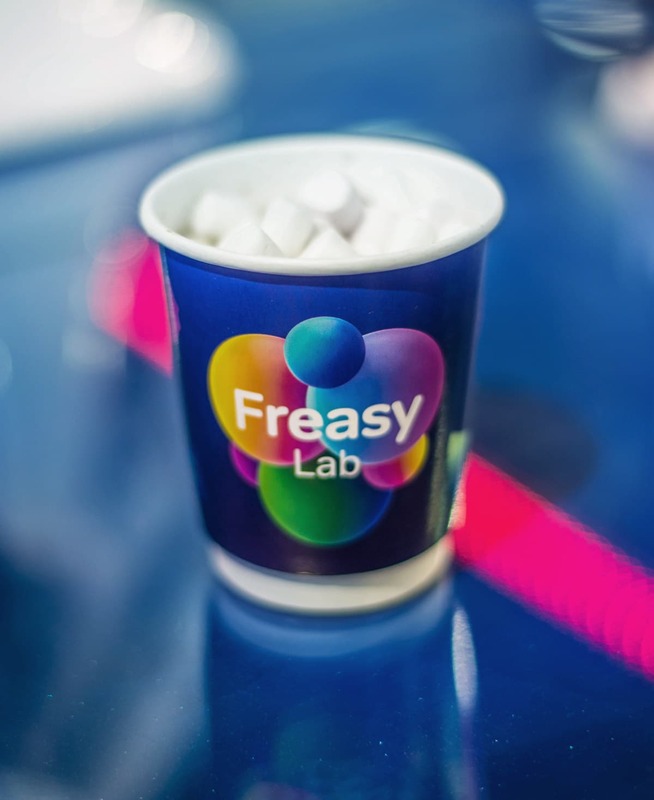 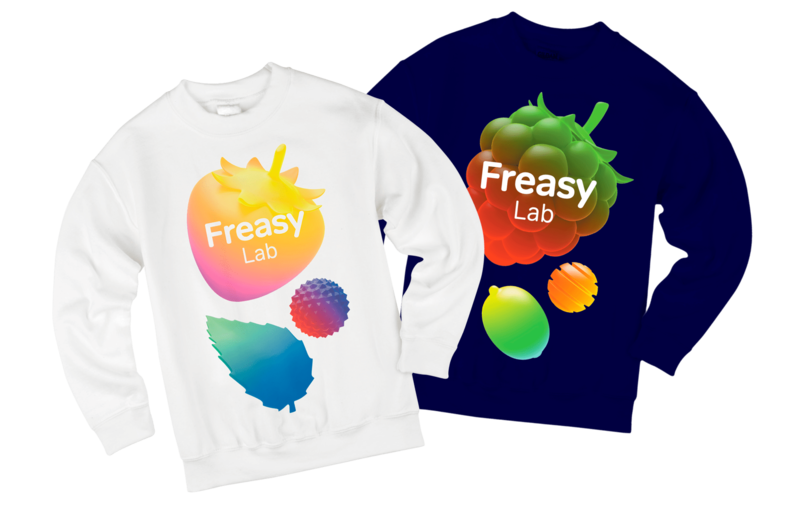 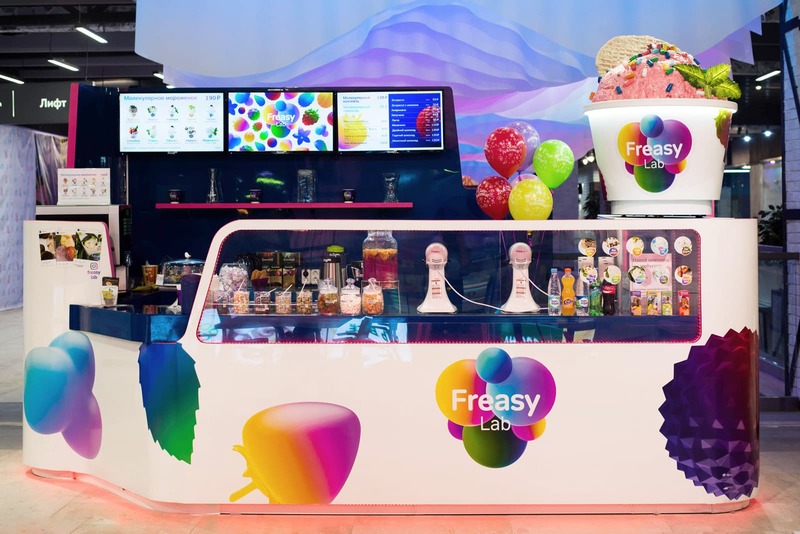 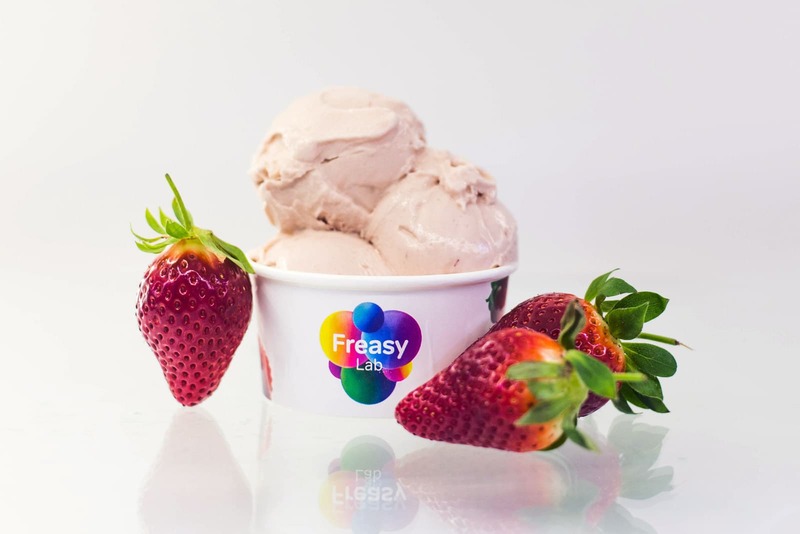 Freasylab makes molecular ice cream. 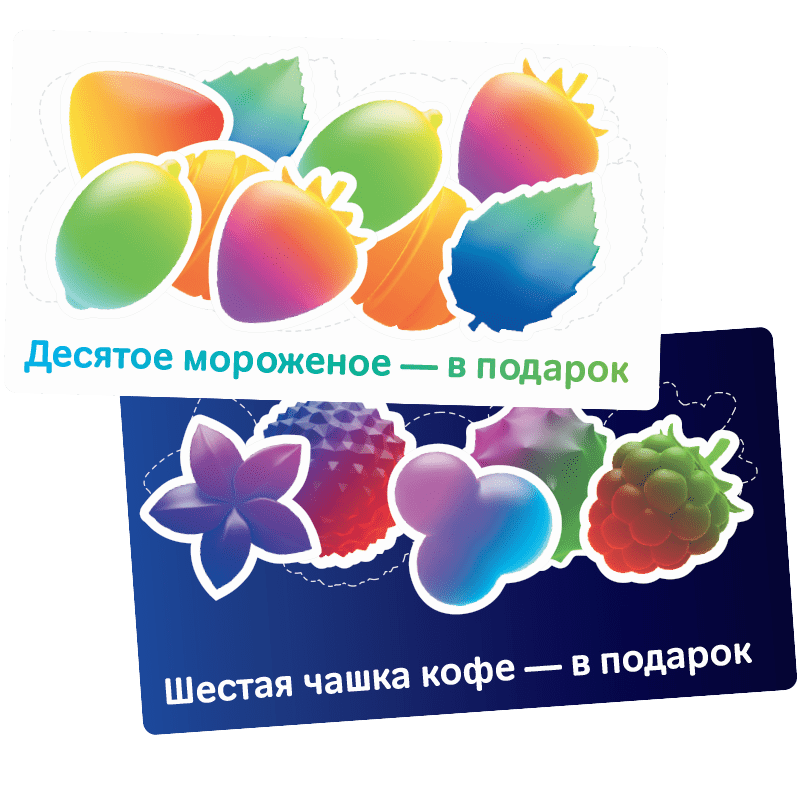 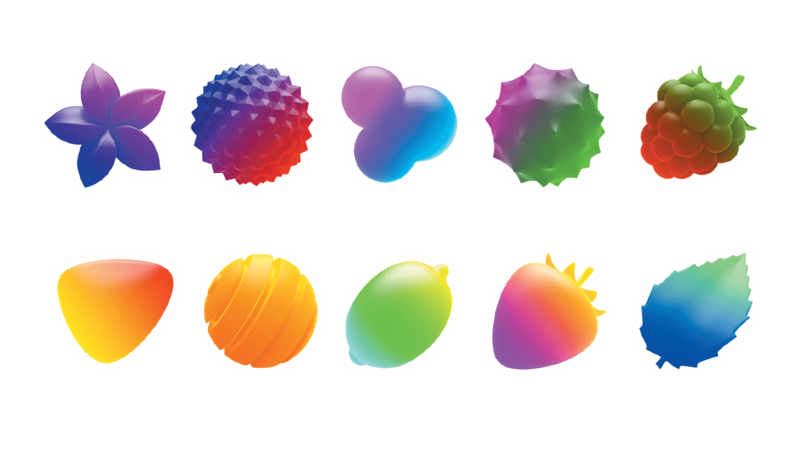 Right on the spot they take milk, sugar and fruit, cover it with cryogenic nitrogen and mix it. 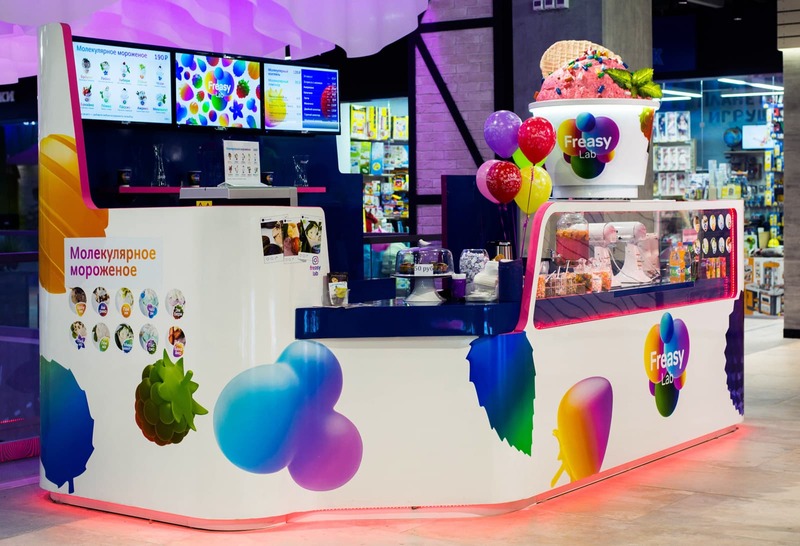 It looks really impressive with all the steam and neon lights. 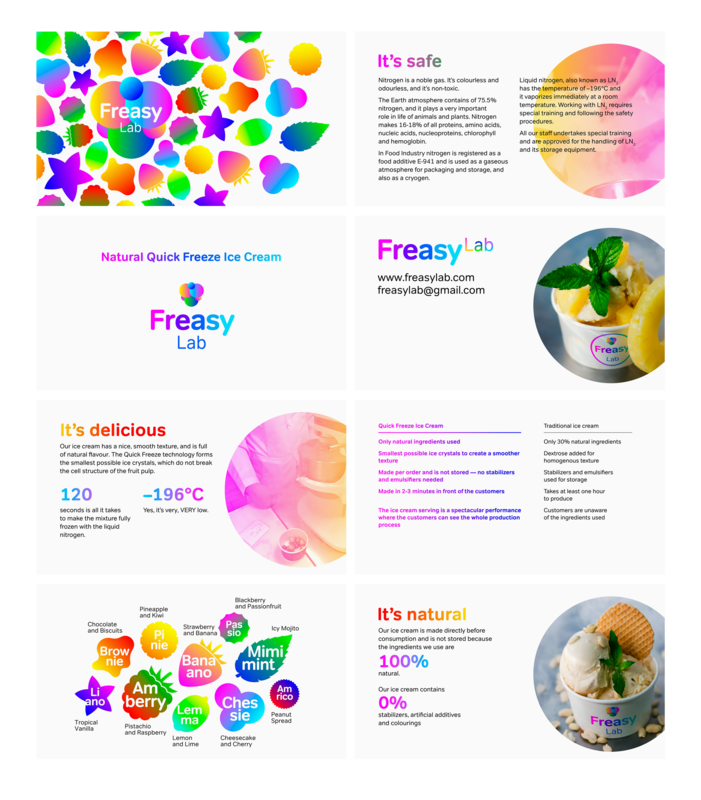 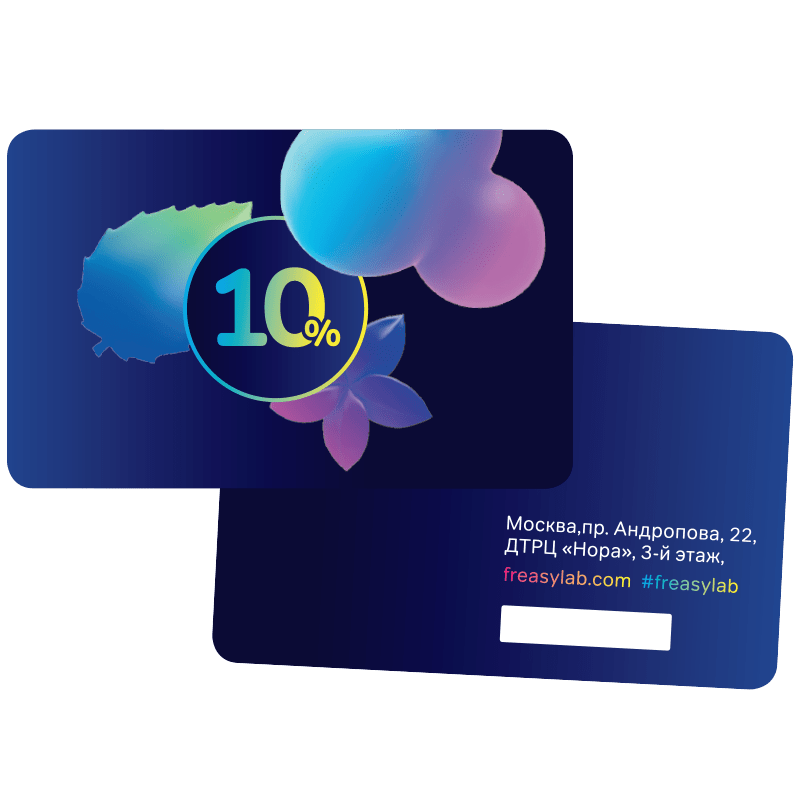 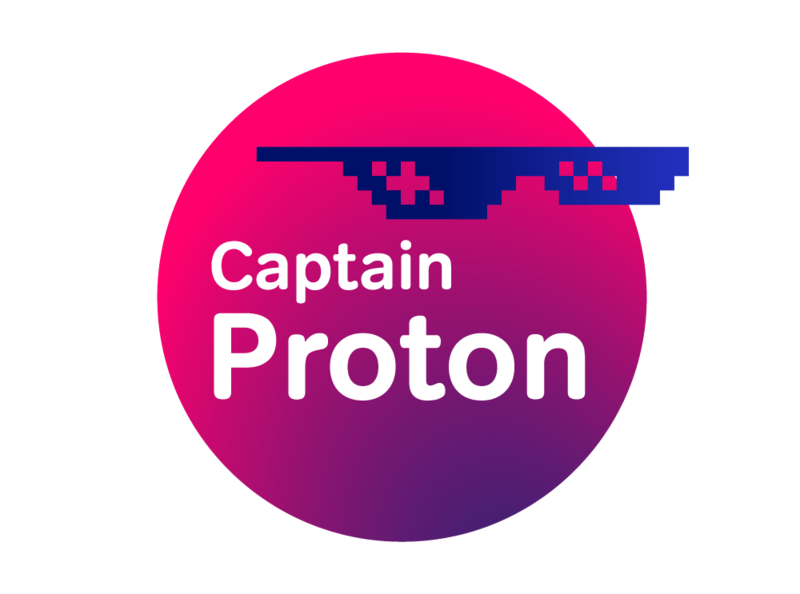 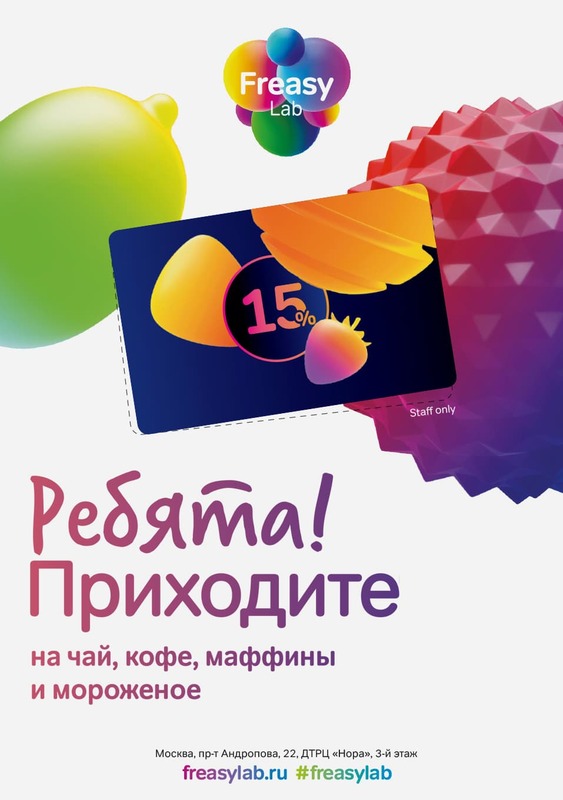 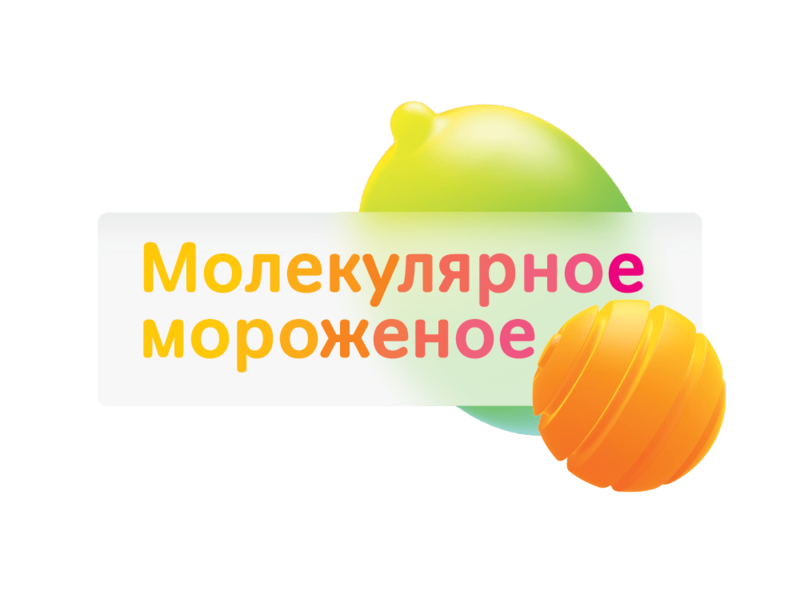 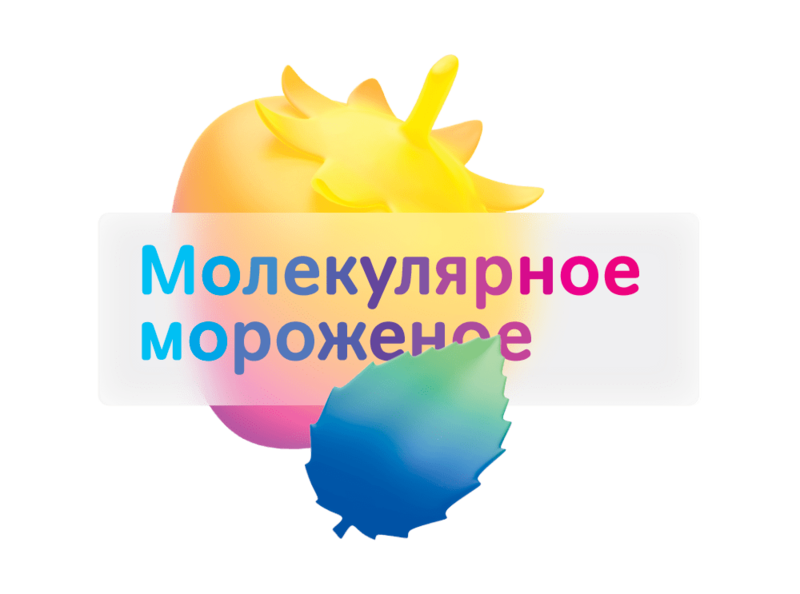 We’ve created the brand, corporate style and names for all the recipes on the menu, developed the display equipment, made presentations, business and discount cards, layouts for all the menus, invented the design for paper cups and ice-cream bowls, wrote a story about their franchise and launched the website.